How long do we have to coddle and protect Napoles? Yesterday, Napoles proved that she is not worth anything. Why does the administration continue to cuddle that useless bloodsucker? It's been two months and a half since our government started protecting Napoles and what do the Filipinos get in return? What is there to justify the government's continued spending for the safety and even comfort of that leech? The DOJ, the Makati RTC and the PNP have conspired to condition the minds of what they see as stupid, easy-to-dupe Pinoys into believing that there is an exigency in doing everything to protect and cuddle Napoles. Why do these officials protect an obvious liability when their duty and responsibility is to shun liabilities and protect assets? I was also one of those who had hoped that Napoles would be useful in the Filipinos' search for more answers and sanctions on the plundered funds. 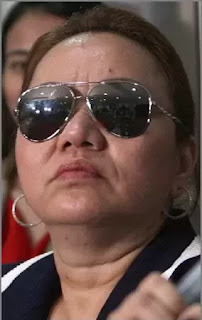 Yesterday, Napoles unequivocally demonstrated that she will merely muddle the issue. Napoles exposed herself as nothing but a liability to our quest for justice. Do we need Napoles to prove that public funds were plundered and that the legislators were her principals in the nefarious looting of the people's money? I cannot offer any clear and convincing answer as to why our government officials persist in thinking so. The statements of the whistleblowers are clearer than daylight and the documents speak for themselves. No complicated analysis is needed to find out and prove that public funds were siphoned through the Napoles NGOs. No deep thinking is required to find out and prove that the legislators were the ones who anointed and appointed their own representative NGOs for their PDAF projects. It's as simple as this: the legislators were given the power and authority to select their chosen representative NGOs who shall receive the PDAF in their behalf. These NGOs merely act for and in behalf of the legislators. Public accountability is NEVER TRANSFERRED and CANNOT POSSIBLY BE TRANSFERRED by the legislator to the NGO, the latter being a private entity hence never publicly accountable for public funds. Jinggoy's statement that senators are not expected to check the authenticity or genuineness of their chosen NGO is as stupid as 1+1= 111. The NGOs are mere agents of the legislators. Napoles is a mere agent of her principals. We don't need her and we don't even deserve her on our side, so why cuddle and protect her? I say let her rot in the city jail in the meantime that her cases are still pending and transfer her to the national penitentiary after her conviction. We cannot spend more public fund on her. If she gets killed inside the jail, then that is probably what she really deserves.